Idli podi or gunpowder as it is popularly known is a flavorful spice powder that accompanies idli, the healthy south Indian breakfast. Even if there are umpteen side dishes/chutneys, this idli podi occupies a special place. 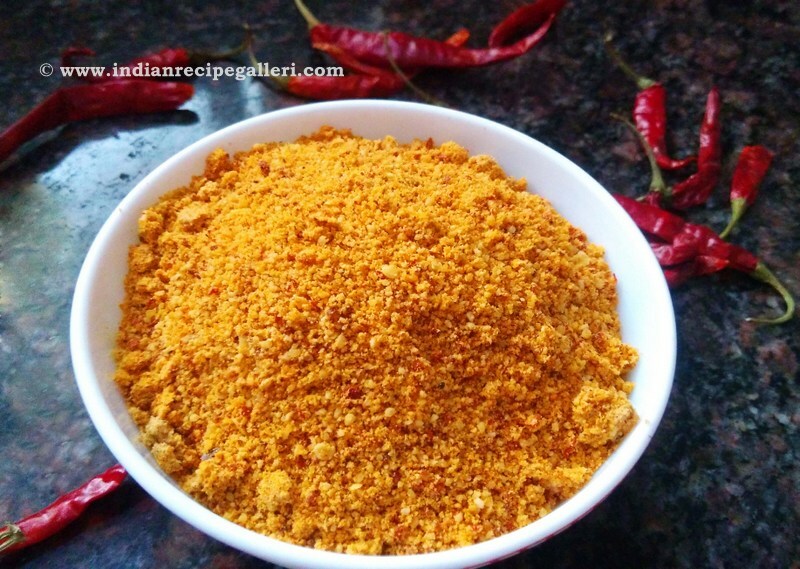 You can finish off an entire plate of idlis with just this flavorful podi. There are so many variations to this podi depending on individual tastes. Some add bengal gram, dry coconut, garlic, sesame seeds, etc. I am presenting here the basic version of the Idli milagai podi. 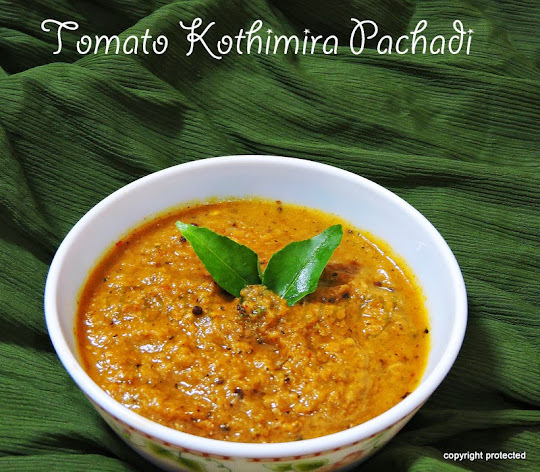 If you are looking for more side dishes to idli, dosa or uttappam, check out these -- Tomato Onion Chutney, Groundnut Chutney, Potato Masala for Dosa, Idli Sambar, Mint Coconut chutney. Heat 2 tsp oil in a kadai and add urad dal and fry until the dal turns light brown and remove the dal onto a plate. In the same kadai, add 1 tsp oil and add hing and red chillies and fry on low flame for a few seconds and remove from fire. Let the fried ingredients cool down and powder them coarsely in a mixie. Flavorful Idli Podi or gunpowder is ready. Enjoy with a plate of idlis. Store in airtight container and use as required. Can also add Channa/Bengal gram 100 gm and sesame seeds 100 gm to the above ingredients. You can add garlic for additional flavor.